If you ever find yourself with a glut of milk in the fridge, a great way to use it up is to make Paneer. Paneer is a fresh cheese commonly found in Indian cooking, and is really easy to make. Take your milk and heat it in a large pan. You don’t want to bring it to the boil, just heat it so that it’s fairly warm. Take the pan of milk off the heat. Next add lemon juice. The amount of lemon juice you need will depend on how much milk you have, and how big and juicy your lemons are. Reckon on about one lemon per litre of milk. Stir well, put the lid on the pan and wait. 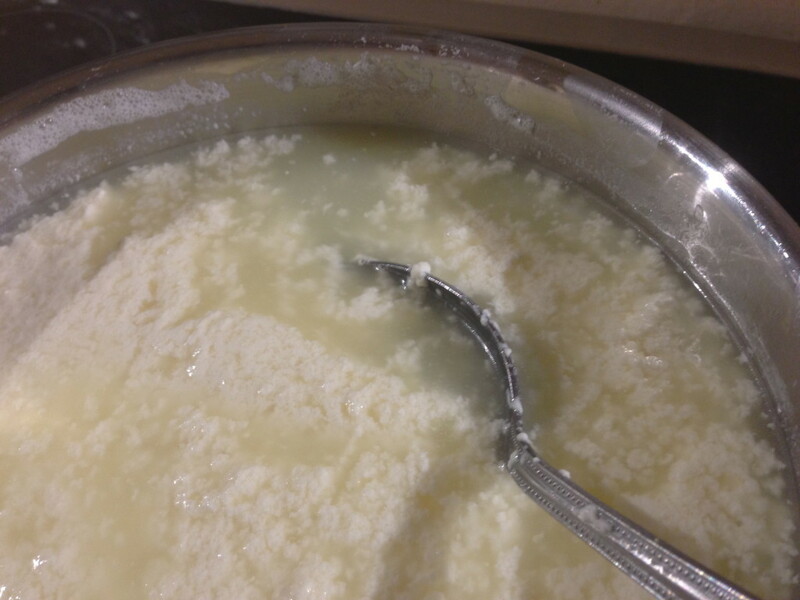 After about five or ten minutes, you should see the curds separating out of the milk. If they don’t look like they’re properly separating, add a little more lemon juice. 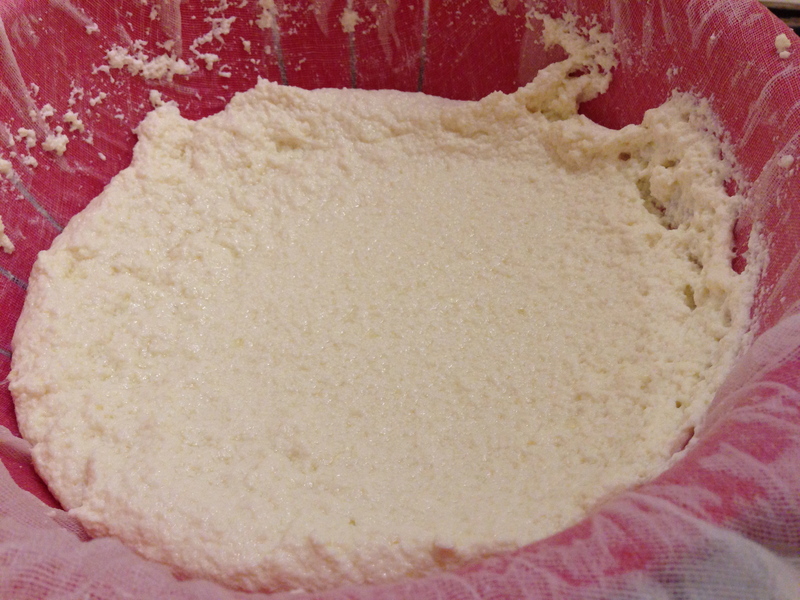 After half an hour or so, take a piece of cheesecloth or muslin and strain the contents of the pan. Allow this to drain, and you will be left with the crumbly cheese curds. This is paneer. 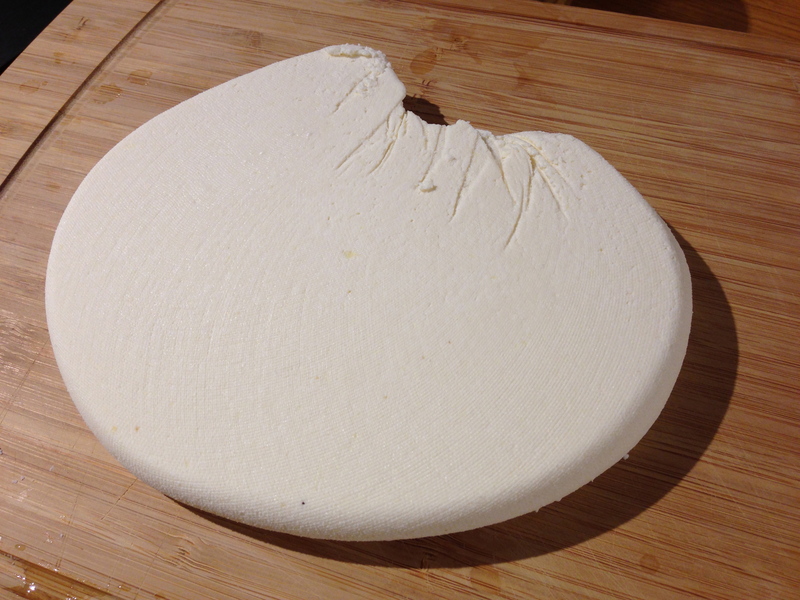 You can eat the paneer just as it is (try some on a cracker), but more commonly, it is pressed into a block, squeezing out more of the liquid. 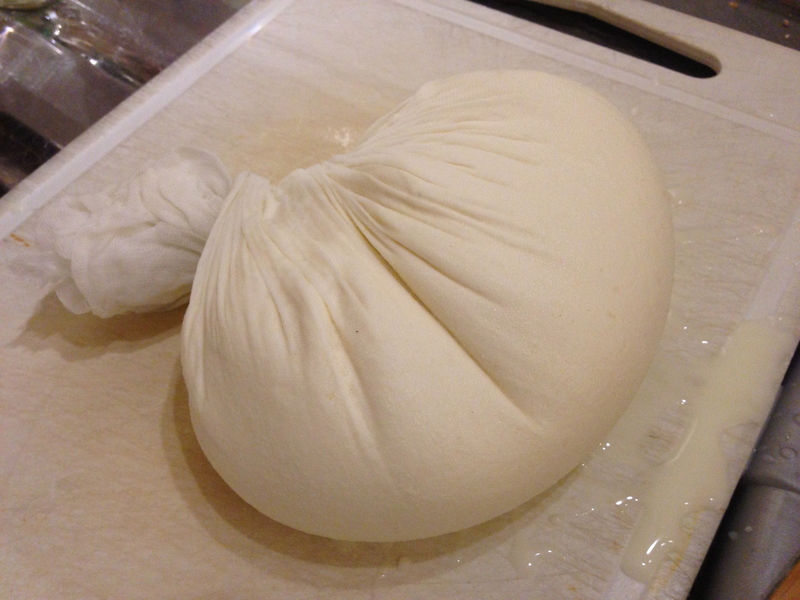 Take your cloth and gather in the sides and twist them into a closed bag containing the curds. Now you need to press the cheese. I usually sandwich the cloth bag between two chopping boards and then place a heavy weight (typically a large pan filled with water) on top. Leave for an hour or two, and then unwrap the cheese, which should now be quite firm. Thanks for this! I’m going to try it. I love paneer, and it’s so easy to make. You should definitely give it a whirl. Let me know how it goes!